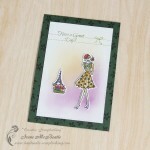 All About Layering class at Altenew Academy just ended and I’d like to show another card inspired by the lessons and the stamps. 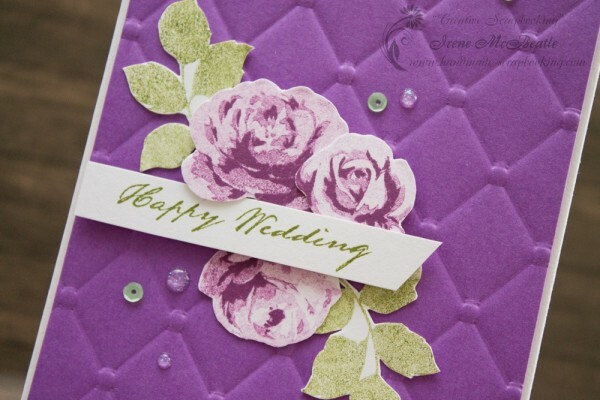 The accent is purple color and wonderful vintage roses. 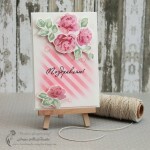 I stamped the roses with just one color of Distress Ink which was Seedless Preserves. I used multi-generation stamping technique to get the effect of using multiple shades of the same color. You can really achieve this with one ink pad and make it look like you had many ink pads. 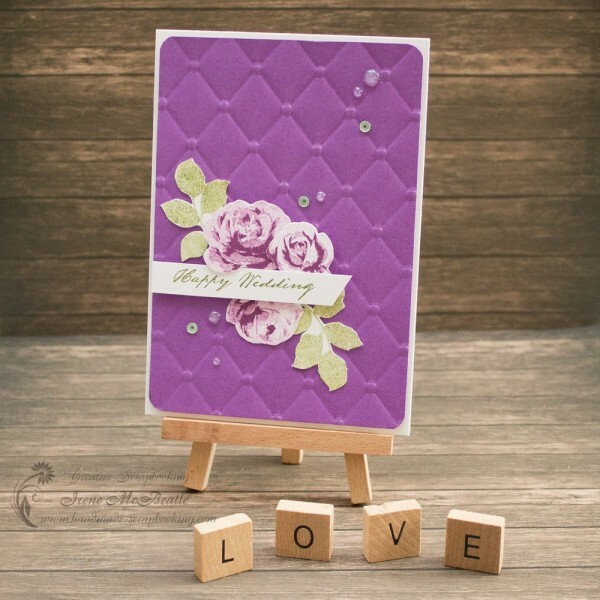 For the background I used plain purple cardstock and added embossing for some interest. I really enjoyed the class. 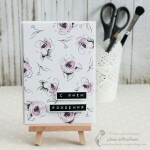 It gave me a lot of good tips and inspiration.